Description: Hero Arts Clear Design Scrubber Pad is a two-sided cleaning system. Use bottom pad for cleaning and top pad for drying. Use with Ultra Clean Stamp Cleaner for best results. Pads are contained in a hinged plastic case that measures about 7 1/2 x 4 3/4 inch. See more Hero Arts Accessories. 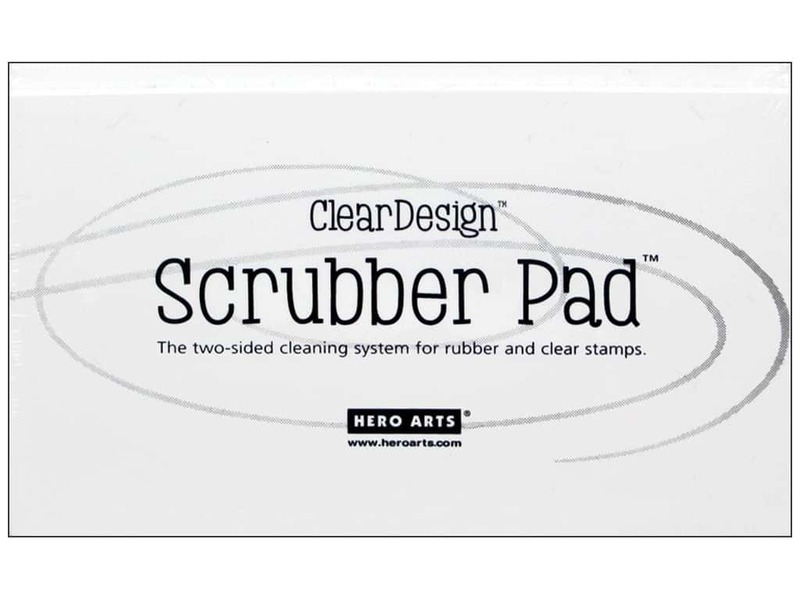 Hero Arts Clear Design Scrubber Pad -- CreateForLess 5.00 out of 5 based on 1 ratings. 1 user reviews.